In 1953, Jesus appeared to Kenneth E. Hagin in a vision while he was ministering in Phoenix, Arizona. During that vision, Rev. 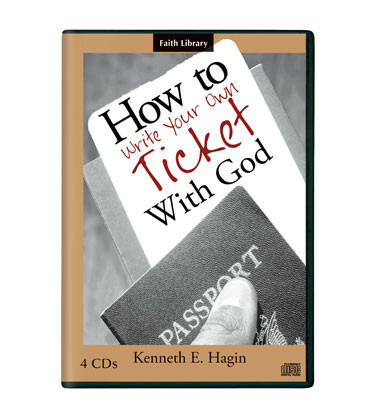 Hagin was given four steps that a person can take to see God’s promises fulfilled in his life. Jesus said, “If anybody, anywhere, will take these four steps or put these four principles into operation, he will always receive whatever he wants from Me, or from God the Father.” •	Do you have needs in your life that God’s Word promises to meet? Then get ready to receive your answer as you write your own ticket with God!